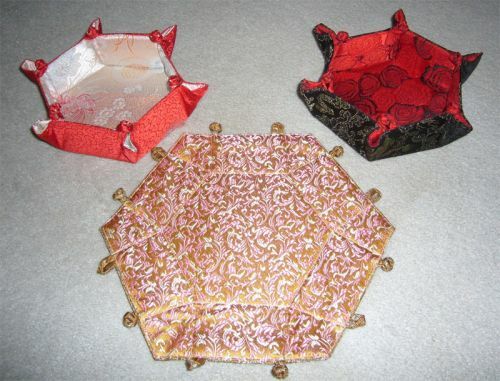 Flat hexagons with loops and frogs (easy to send in the mail as gifts). Make the bowl by buttoning the frogs either way, depending on which color you choose for the outside and inside of the bowl. Variety of color combinations available.